The Move Ya DVD Latin Fiesta is based upon a training program, which has been developed by the international fitness presenter José Martinez. Moves of salsa, merengue, mambo, etc. are combined with fitness exercises. The moves are easy-to-learn. Therefore, Latin Fiesta is ideal for beginners as well as advanced users. Thanks to attractive caribbean, musical background, the workout is full of positive energy. 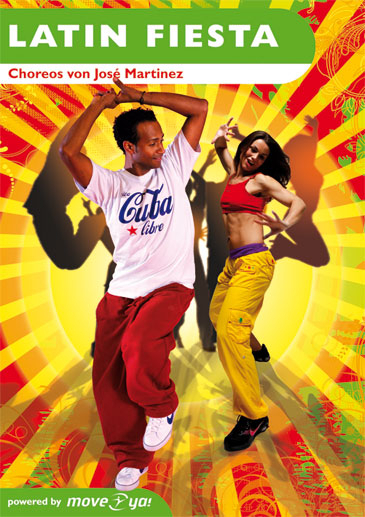 The Move Ya DVD Latin Fiesta includes tips for combining separate workouts to create an individual workout. Get inspired by the Latin Fiesta !